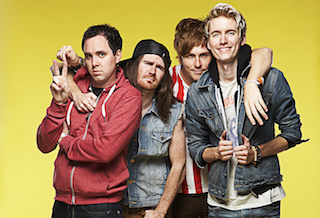 Calling all Forever The Sickest Kids! The wait is finally over. The Texas pop-rock quartet have announced their long-awaited album will be titled, J.A.C.K. and is slated for a June 25th release date via Fearless Records. You can check out the official artwork and track listing for the album by clicking read more. The band have also released a preview of a new song titled, "Chin Up Kid," which can be streamed below. The full track will be available to purchase digitally on May 7th.